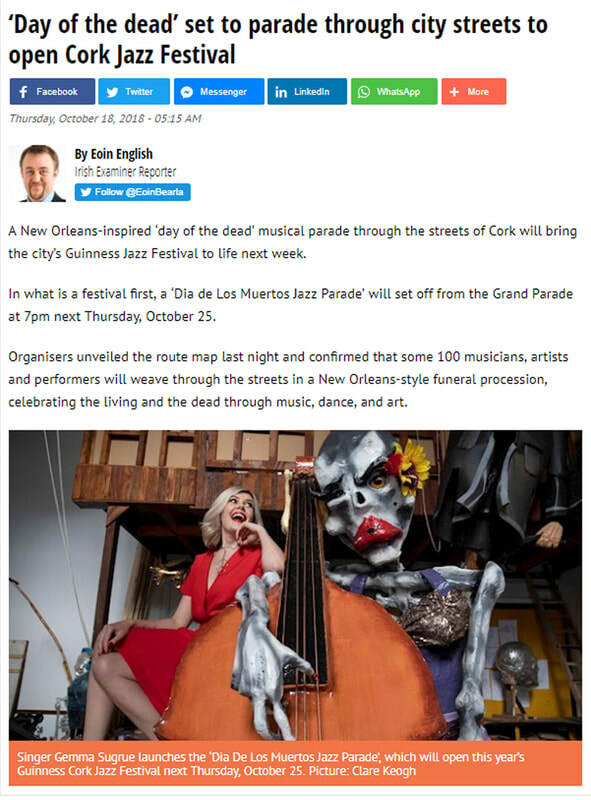 Hundreds of participants are getting ready to perform in the Dragon of Shandon parade, and they'll need to be transformed into ghouls, beasts, skeletons and demons. 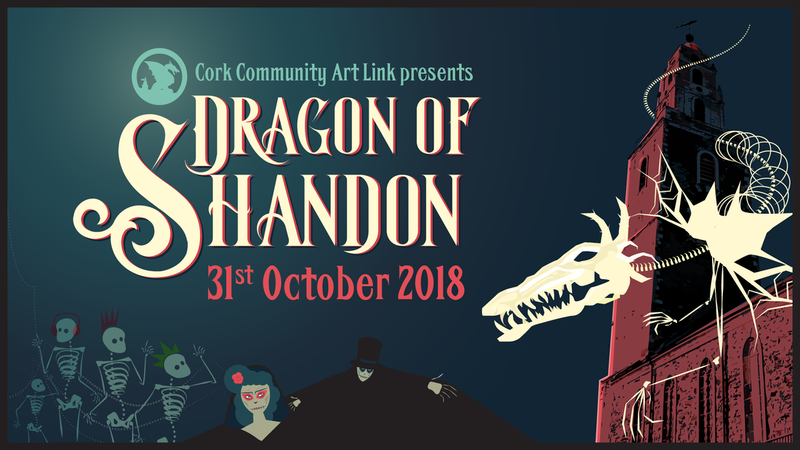 The Dragon of Shandon and all our other weird, wonderful and spooky floats need people to guide them through the streets on Wednesday 31st of October. Email us at info@corkcommunityartlink.com to get involved. *Pushers will be required for Dragon Rehearsal on certain Sundays throughout October, from 2pm in the Marina, Centre Park rd, Cork where we have our Workshop. Pushers will be seen by the Costume team, assigned a float and practice pushing the float on this day. *Pushers will also be required for the day of the parade Wed 31st Oct from roughly 4.30pm/5pm in the Firkin Crane, Shandon to get ready in Costume and make up. If you enjoyed bringing your kids to watch the Dragon of Shandon parade over the years, here is an opportunity to join the ghouls and beasts as one of our 'Skeleton Families'. ​Over the years we have had many families bringing their ideas and creativity into the project and walking with the Dragon on the night of the event. We will be opening our workshop specifically for families from Saturday 22nd Sept - Sat 27 Oct in the Lido, 71 Watercourse rd, Blackpool. This is open to families with kids from 6 years old and upwards. You can sign up and get more information by emailing info@corkcommunityartlink.com or drop in this Saturday to the Lido. Due to an overwhelming response our Dragon of Shandon Family Workshops are now completely FULL. Apologies to anyone who missed out, we hope to see you at the parade! If you enjoyed bringing your kids to watch the Dragon of Shandon parade over the years, here is an opportunity to break through the other side of fun. We had many families bringing their ideas and creativity into the project and walking with the Dragon on the night of the event. We will be opening our workshop specifically for families on Saturday 14th and 21st of October from 2 to 5 PM. at the Lido, 71 Watercourse road in Blackpool. Get in touch to confirm your participation or just call in on the days. 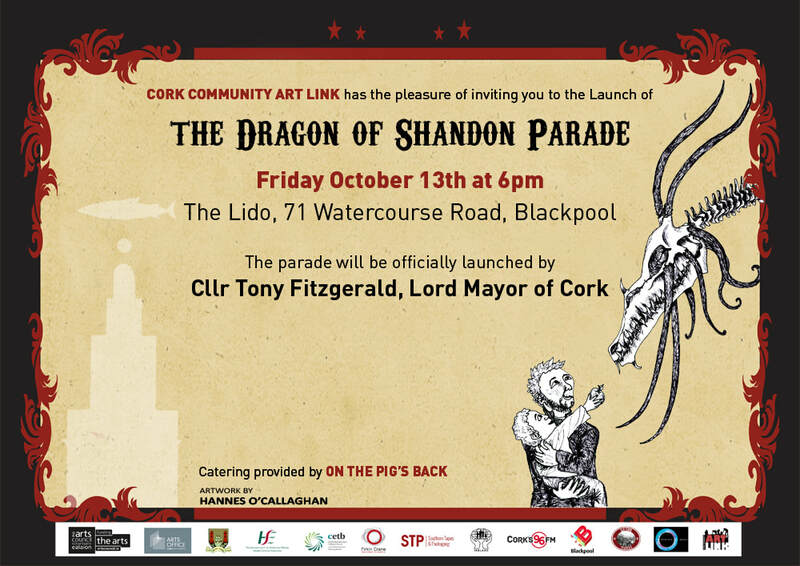 We are looking for volunteers throughout September and October as Cork Community Art Link prepares for this year’s Dragon of Shandon Parade! 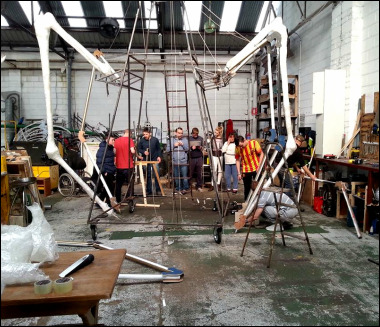 Join us in one of our two work spaces and help with building giant props and puppets, painting, costume-making, photography, videography, event organisation, music, sound, lighting, and taking part in the Dragon of Shandon parade on October 31st. If you fancy getting creative and participating in an amazing community arts festival, get in touch by emailing info@corkcommunityartlink.com, calling 021 4553747, or just drop in to the Lido or the Marina during the hours listed below! We'd also like to hear from people who want to be involved on the night of the parade, as we need lots of people to help with the floats, give the crowd some spooky thrills and bring the Dragon to life! Cork Community Art Link invite you to join their Free Drama classes, starting 19th September 2017. The workshops are an introduction to the drama techniques focusing on the building of a street performance that will be held on the day of the parade. The classes will take place at the Old Lido in Blackpool, every Tuesday, 7-9PM and are for adults only. Cork Community Artlink's Catherine and skeleton friend receiving a donation from Cathedral Credit Union on Shandon street, towards the Annual Dragon Of Shandon Parade which takes place on October 31st 2017. CCU has been supporting our community project for many years now and helped in making it possible. Thanks Linda and all the CCU team! Thanks to the many sponsors who come on board with financial and in kind support for 2016. Go Raibh Mile maith agaibh! Cathedral Credit Union & All the other generous donors and local businesses who supported us.